Use your vintage m42 lenses on modern Nikon (D)SLR cameras. This is simple mechanical “no infinity” adapter – focus will be possible in close range only. 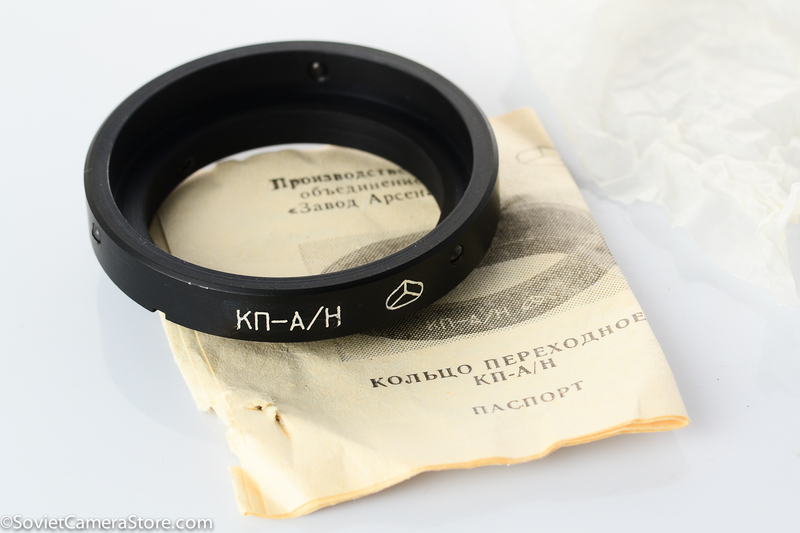 The flanged adapter(470php) has flange to depress aperture pin on some lenses, which enables “stop down” mode when aperture has to be set on lens itself. 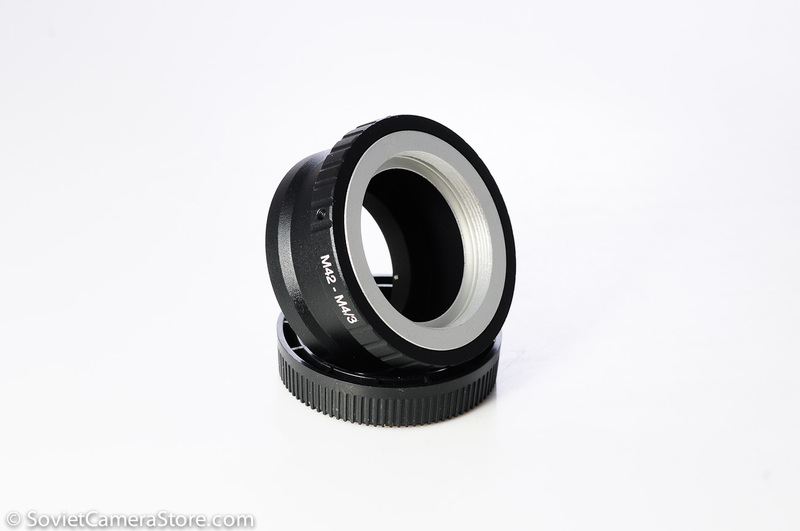 This adapter is needed for the m42 lenses that have auto aperture mechanism(with aperture pin) and no A/M switch, like Helios-44m-4, Helios-44m-5, Helios-44m-6, Helios-44m-7. 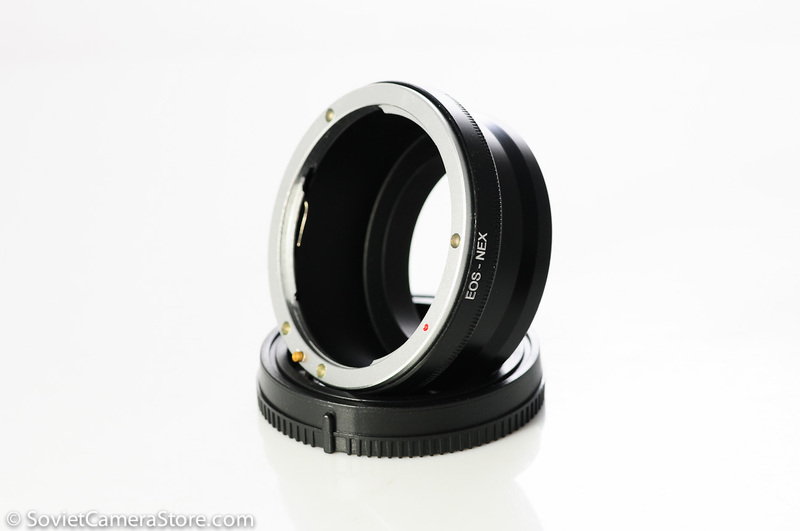 Flanged adapters also work on lenses that do not have aperture pin – consider it “universal” adapter for clarity. The flangeless adapter(450php) does not have flange and is recommended for lenses that do not have Auto Aperture mechanism(or do have A/M switch), like Helios-44m, Helios-44, Helios-44-2. Some lenses have A/M switch for aperture – any of the two adapters will work the same on those. *Note: this is “no infinity” focus adapter, focusing range on Nikon body will be limited to close range only. 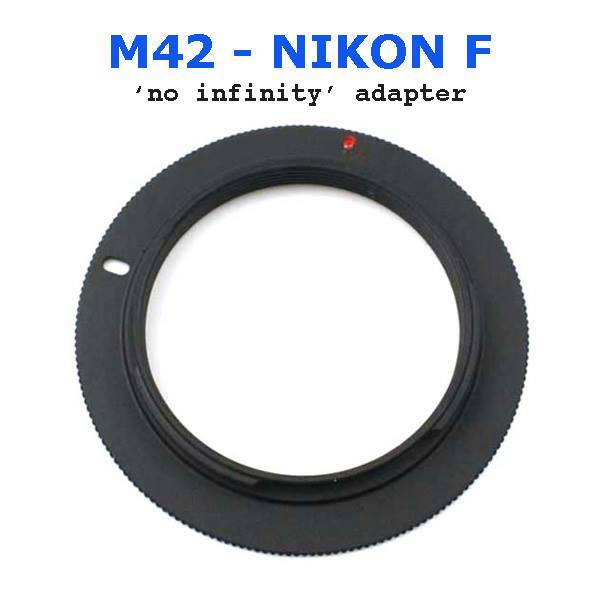 Optical “infinity adapters” that allow using m42 lenses full range(to infinity) are available here. Please see these comparative samples which show the affect of adapter on image quality.